Members of the Cape Noon Optimist Board donate $500 to members of the SEMO Prom Mothers Association. 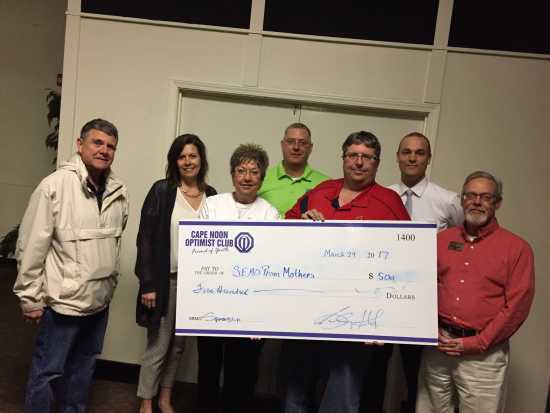 Recently the Cape Noon Optimist Club donated $500 to the SEMO Prom Mothers who specialize in donating Free Prom Dresses for students in southeast Missouri who may not be able to afford the cost of a dress. The Cape Noon Optimist Club is dedicated to improving the lives of local youth through financial and voluntary contributions.